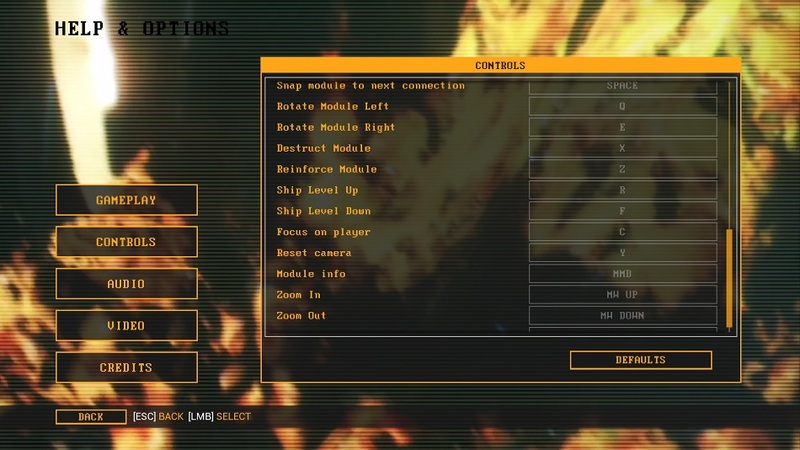 HIGH The minimal HUD and use of terminals instead of menus. LOW Explorable planets feel unbelievably empty. WTF Everyone and everything is a literal clone, including the player. I love a good roguelike as much as the next guy, but I’ve played so many that there needs to be a damn good hook if I’m going to pick up a new one. So, the amalgamation of ship-building, crew management, exploring foreign planets, FPS combat and resource management drew me to Genesis Alpha One. While it delivers on all of the above, there are some serious kinks that need to be worked out. 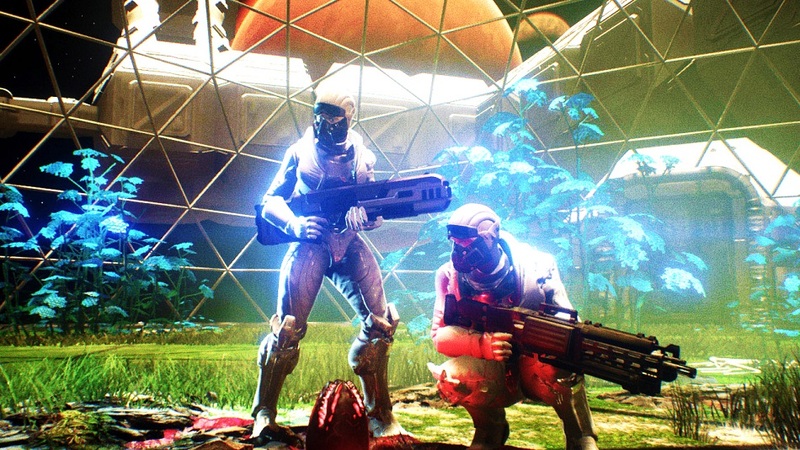 Genesis Alpha One’s reality has seen humans completely drain the earth of resources, leaving them with the option of sending a barebones ship piloted by clones to the far reaches of space in search of a new, habitable planet. 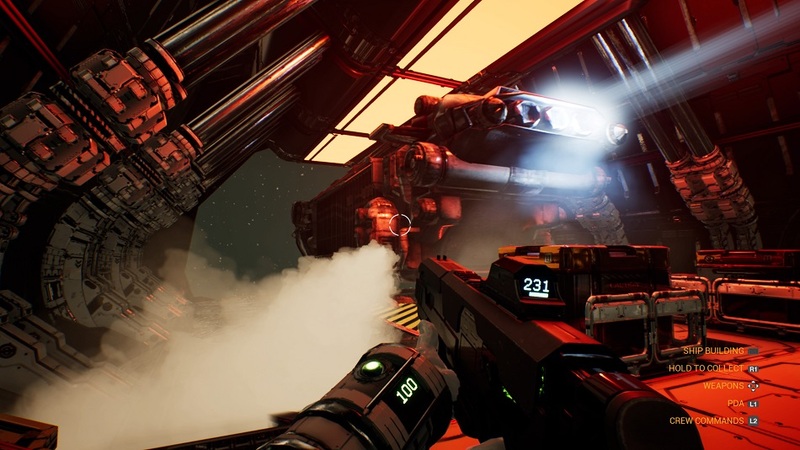 Along the way, players will hunt down resources and upgrade their ship from a first-person perspective as they search for a new home. As one might guess, GAO has the best canonical reason why most character models look identical — they’re a crew of clones! 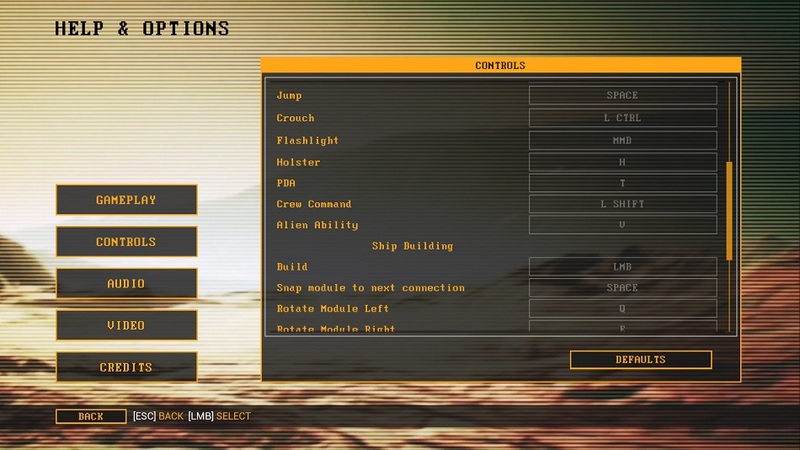 They can be created by the player and assigned to different parts of the ship to expedite processes like gathering, refining resources or building new technology. I’d guess the clones are meant to relieve the player from being stuck doing menial tasks onboard the ship, but the irony here is that everything about the game is far more tedious than it might first seem. As it begins, GAO has the player enter a system of planets that offer resources or items. It’s possible to go down in person, or send a crew of clones if the captain wants to stay on the ship. Sadly, there’s nearly nothing to do on these planets apart from shooting a few creepy-crawlies, grabbing a handful of resources and occasionally finding an artifact to collect. Players can expect nearly identical foliage and rocks with a different color filter on each planet, and this humdrum exploration is only worsened by the fact that players can bring back a maximum of five resources at a time from each planet, forcing them to return to these dull landscapes more than once if they want everything there. 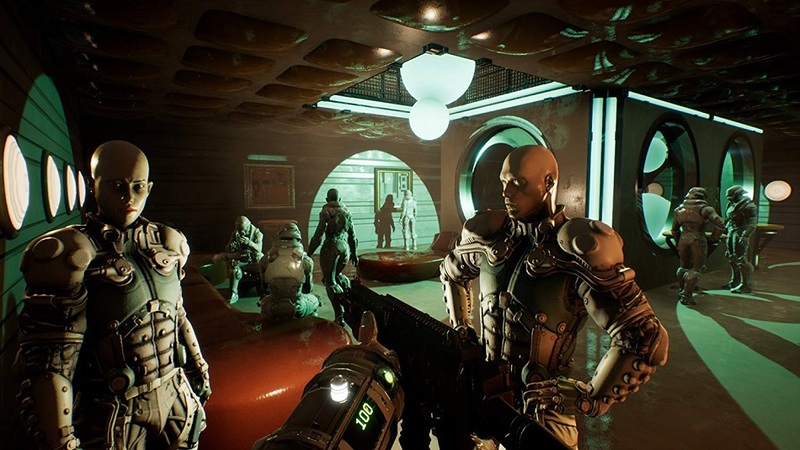 To make matters worse, there’s a lot of emptiness in Genesis Alpha One‘s space, and a lot of time is spent simply traveling between systems and planets. This repetitive, uninvolved exploration led me to simply dispatch crew members to gather materials on planets while I expanded my ship, but I didn’t have the agency to tell them what to gather. For example, when I was in need of iron to build a new storage room, I would send a clone to a planet with 3 iron and 2 uranium on it, only for them to return with just the uranium. It’s not all bad though! Laying out and executing the design and organization of the ship is satisfying. With enough resources players can attach new rooms to the central structure and increase the amount of functions the ship can accomplish, and the system of attaching new rooms where desired works well. Once the habitable area is expanded, the player is free to walk around, and there’s something truly delightful about being able to run through a spaceborne monstrosity I built at the same speed as the DOOM marine. Sadly, I ran out of new modules to construct because blueprints for ship parts must be picked up by the player from planets, but said blueprints are broken up into different pieces that are always on different planets in different systems. Disclosures: This game is developed by Radiation Blue and published by Team17 Digital Ltd. It is currently available on PC. This copy of the game was obtained via publisher and reviewed on the PC. Approximately 11 hours of play were devoted to the single-player mode, and the game was not completed. There are no multiplayer modes. Parents: According to the ESRB, this game is rated M and contains Blood and Gore, Language, Violence. Although there is blood and gore, there isn’t anything excessively gratuitous. The vast majority of enemies are bug-like aliens, but the human enemies do spurt blood like it’s their job. Deaf & Hard of Hearing Gamers: When on the ship, I couldn’t find any visual indicators of when an alien/enemy boarded or took a part of the ship offline without going to the map to check. 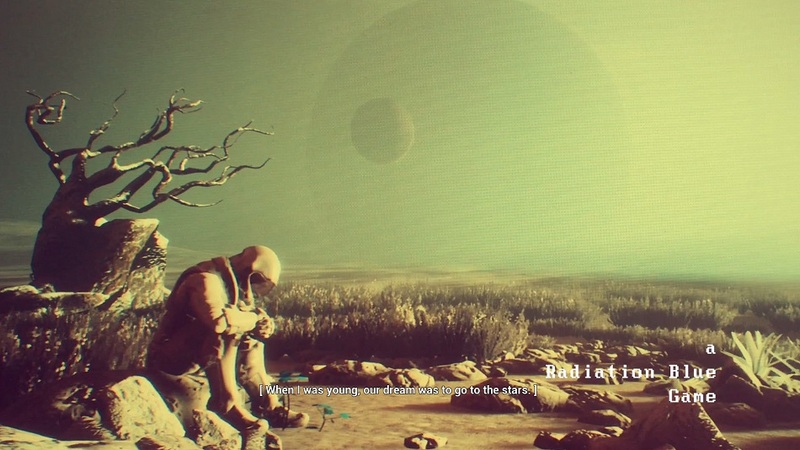 When exploring on a planet, there is a small compass-like indicator on the player character’s wrist to indicate the general direction of enemies, but the spoken warnings for enemies or alerts are not captioned. Subtitles are not resizable. 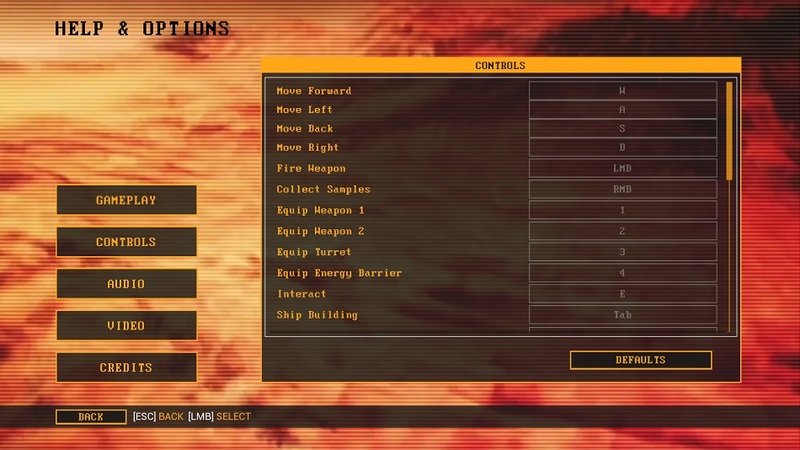 Remappable Controls: Yes, this game offers fully remappable controls on PC. Kyle came out of the womb with a mouse and keyboard in hand. He spent hours on his family computer playing point-and-clicks like Zoombinis and Pajama Sam, but Spyro, Crash, and Gex dominated his playtime later on. If Kyle was lucky, his old man would let him play the Game Gear for some Sonic 2 (or Mortal Kombat when no one was around), but even with the gory glory of pixelly fatalities seared into his brain, the laughable Star Wars: Masters of Teras Kasi is what left him with an itch for fighting games that lives on today. Kyle has come to appreciate the bite-sized games in his library. Now, in the few hours between work and sleep, he tries to "git gud" at roguelikes, chance-based strategy games, and 3D fighting games. His PC and Switch are currently tied for the spot of his favorite platform, and he loves the dumpster fire that is Kingdom Hearts.